The tree-canopied, manicured grounds of the Little White House offer a spacious, yet private venue for a wedding ceremony and reception. The three lawns surrounding Truman’s winter retreat can be used together or individually. The front lawn, with tall palms and enormous tropical almond trees forming a garden cathedral, is a favorite location for Key West weddings. The side lawn, shaded by a variety of tropical shade trees, lends itself to receptions and dinners and is just right for smaller groups. The rear lawn is open and spacious and can be left open to the stars or covered by a large tent. 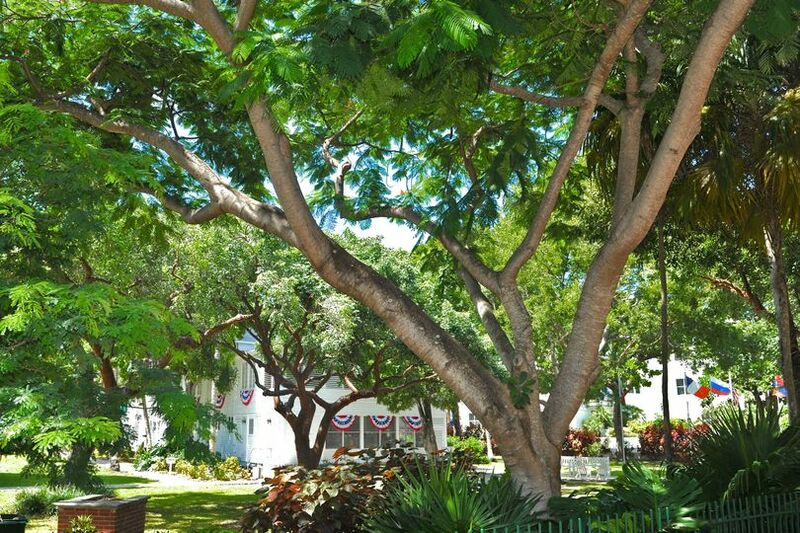 The gardens at Truman Little White House offer the largest Key West wedding venue for ceremonies and receptions. These gardens are verdant, spacious and distinctly historic, a perfect setting for your perfect day. 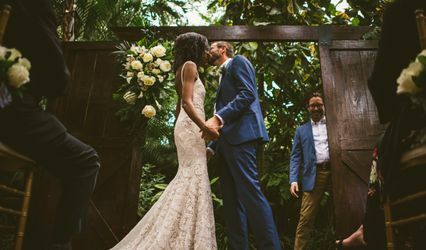 My husband and I could not have asked anything more from the Truman Little White House and Paul Hilson for their support in making our wedding day wonderful! 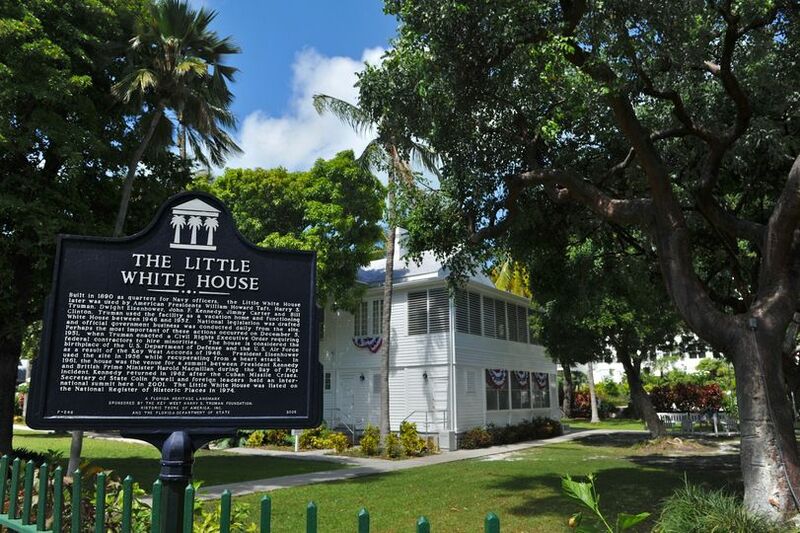 With 90% of our guests being from the northeast, we wanted to give our guests a quintesscential Key West experience, which includes beautiful, pastel colored houses, gardens, and history-- TLWH had all of these things. 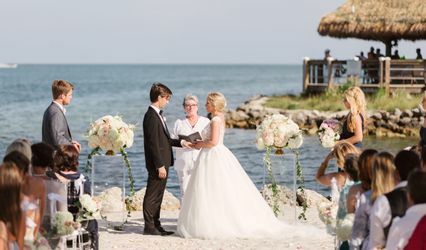 After our ceremony at Fort Zachary, we trollied guests (only a 4-minute drive!) to TLWH, and they could not believe how beautiful Truman Annex and the White House were! After only experiencing the chaos of Duval for a couple of days, our guests loved the beauty and tranquility of TLWH. We HIGHLY recommend having your wedding here! I found this venue last minute after I had to cancel my original venue. I could not be happier! There is a ton of space on the premises. My guests had a lot of room to wander around in, plenty of dance space and best of all the event coordinator at the venue was AMAZING! Throughout the whole process Paul the event coordinator here was great he was always willing to help and went above and beyond on the wedding day to make our day wonderful. 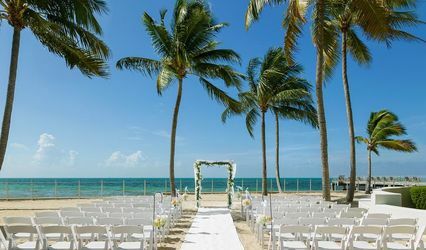 I would recommend this venue to anyone who wants to get married in Key West. It was an amazing experience from beginning to end and my wedding was wonderful! The staff of the Truman White House were extremly helpful and professional. 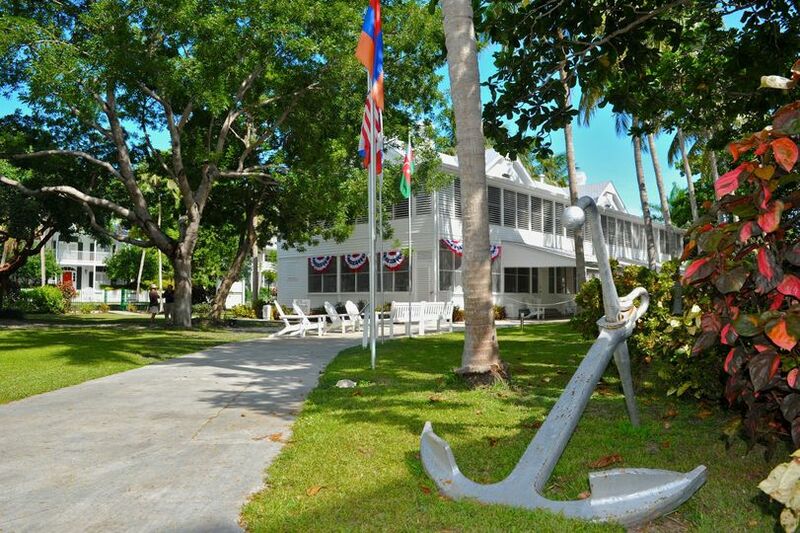 The garden is a great location for any event and you can't find a better location in Key West. I highly recommend this venue for events or just to tour for the history!